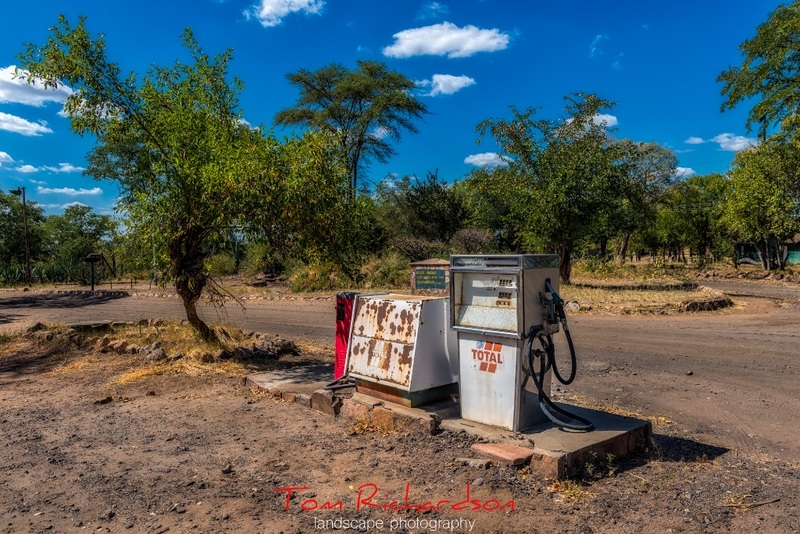 Filling station at Sinamatella Camp in Hwange national park. This is one of only two filling stations in the park, apparently supply is not guaranteed. This shot sums up the neglect suffered over many years in the national park.